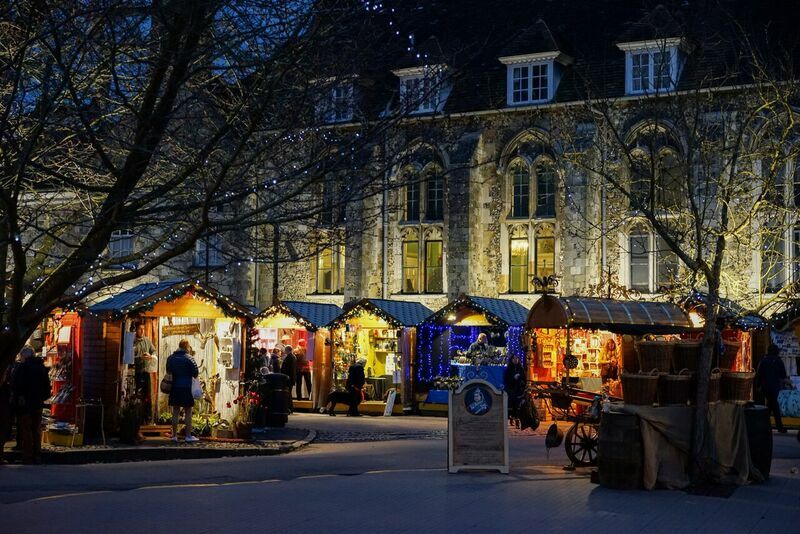 Now in its 13th year and recognised as one of the best in Europe and renowned for its spectacular location, the Winchester Cathedral Christmas Market brings high quality exhibitors, wonderful Christmas gifts and an abundance of festive foods. Our Christmas Market is inspired by traditional German Christmas markets and attracts more than 350,000 visitors each year. The pretty wooden chalets are situated in the cathedral’s historic Close surrounding a real open-air ice rink. All our exhibitors have been hand-picked for their interesting, high quality and unique products many of which can’t be bought on the high street. 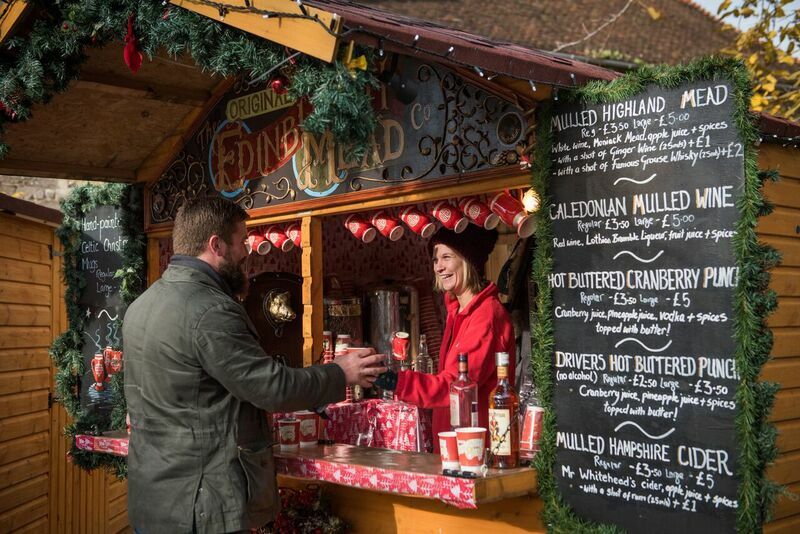 There’s plenty of choice when it comes to food and drink at the Christmas Market. You’ll find chalets selling festive favourites such as, mulled wine, bratwurst, mince pies and stollen. Alternatively, our Cathedral Refectory and Ice Rink Café Bar & Kitchen provide a warm and comfortable setting with plenty of seating and great menus. We invite many British craftspeople to take part in the Christmas Market. If you’re looking for that special something make sure you visit the jewellers, painters, glass makers and textile artists selling unique gifts and decorations. At the far end of the British Crafts Village you will find an enchanting nativity scene – providing an ideal opportunity to share the Christmas story amongst your party and take a fun photograph for Christmas. Many of our exhibitors will be attending for the full 34 days but some will only be here for the first 14 days with new exhibitors filling the chalets for the last 14 days. For further details, including an Exhibitor List and Christmas Market Map, visit our Christmas at the Cathedral page. We welcome coach parties and groups from all over the UK and overseas. Although there is no charge to enter the Christmas Market we do ask that all groups contact us in advance to help us ensure the best possible experience for all visitors. We offer a meet and greet service for coaches and provide information about coach parking, catering and visiting the Cathedral. To make the most of your visit, we encourage you to take time to see inside the Cathedral. Recognising that time is of the essence we have developed a ‘highlights’ tour that takes approximately 30 minutes to complete. Group admission rates apply. For all group bookings please contact our Visitor Services Team on 01962 857 225 or email visits@winchester-cathedral.org.uk. Crowds – weekends are extremely busy and queues at entry points to the Christmas Market should be expected. If you can visit during the week from Monday – Friday you will experience a more leisurely visit and better opportunities to browse the 110 plus chalets. 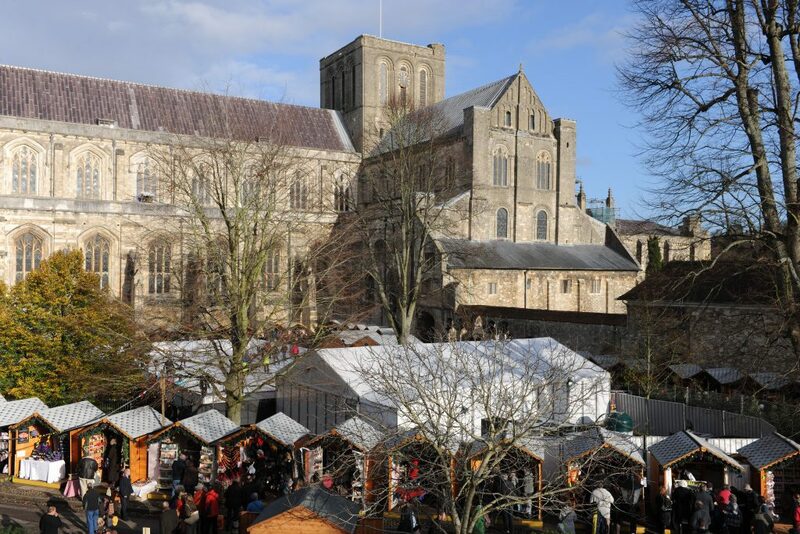 Wheelchair users – the Christmas Market is situated in the Cathedral Inner and Outer Close. Although we have worked hard to provide wheelchair access throughout the site some of our chalets remain inaccessible to wheelchair users. We have a team of stewards on duty at all times who are happy to provide assistance if requested. Please be aware that at weekends the Christmas Market is very busy and although level access and ramps are in place the crowds can make these hard to identify and utilise. Please take great care when visiting the site as there are areas of uneven ground and pavements which can be hazardous. Toilets– toilets and disabled toilets and baby changing facilities are available in the Cathedral Visitors’ Centre. There are no toilets in the main area of the Christmas Market. Dogs– dogs are allowed within the Christmas Market but must be on a lead or carried at all times. We do not recommend you bring dogs to the Christmas Market at weekends as the site is very busy.